Wow, this is very exciting! 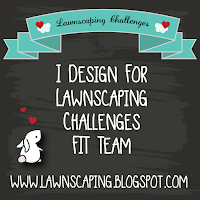 This month I have the great pleasure to be the guest designer for one of my favorite challenge's blog, Lawnscaping Challenge. Today is the first Monday of the month, so there is a new challenge at the Lawnscaping blog: Lawnscaping challenge No. 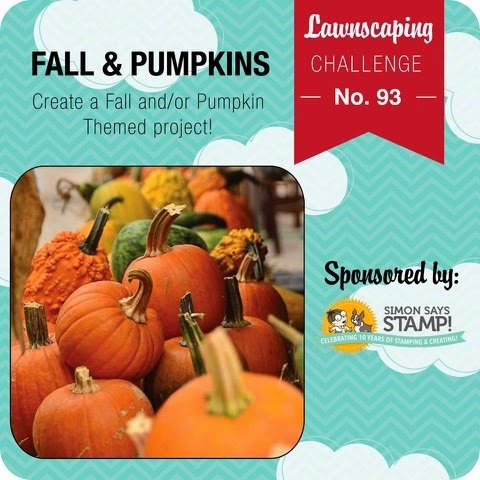 93 sponsored by Simon Says Stamp, and it's all about pumpkins and fall. 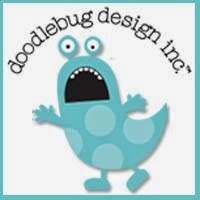 So, I hope you'll get out all your Lawn Fawn stamps, dies and/or paper and create a project for this challenge. For more inspiration go to the Lawnscaping challenge blog and check out what their design team had created for this challenge. Fall is one of the most beautiful times of the year so there is plenty of inspiration out there! This is the card that I created for this challenge, I hope you'll enjoy it! 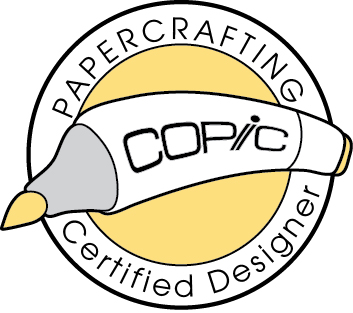 For this card cut a white cardstock panel using the largest stitched rectangle form the "stitched rectangle stackables", then I used some blue distress ink to created the appearance of sky. Next, I cut a hill and a grass border from green paper from the "sweater weather" 6x6 paper pad, using the "stitched side hills" and the "grass" border dies. I applied a little of darker green distress ink on the grass to make it stand out. I cut three trees from the 6x6 "sweater weather" paper pad with the "sweater weather" lawn cuts, and modified two of them. I stamped the Happy Fall sentiment from the "sweater weather" stamp set, first with brown ink and then I stamped one more time a little off set with orange ink, and make a little banner, which I also distress with some tea die ink. I stamped, color (using Copic markers), and die cut some pumpkins from the "so thankful' stamp set as well as some bunnies from the "snow day" stamp set, and some leaves from the "sweater weather" stamp set. After I played with my die-cut images and decided where I want them, I adhered them to the panel using small dots of liquid glue and a quick stick. Finally I adhered my scene panel to a white card base. Don't forget to check my previous post as my "Holiday Craft Series" started yesterday, I will see you tomorrow with a new post for the series. Thanks so much for stopping by, your kind comments make my day happier!!! 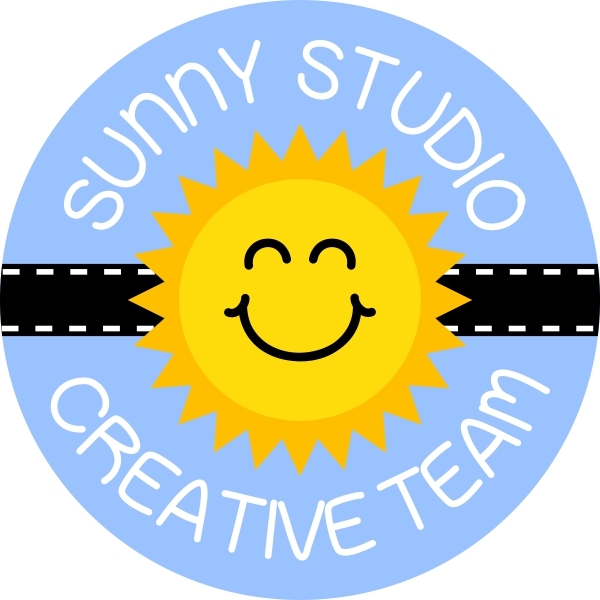 Congrats on being a guest designer, how exciting! Your card is absolutely adorable and I can't wait to see more :)! 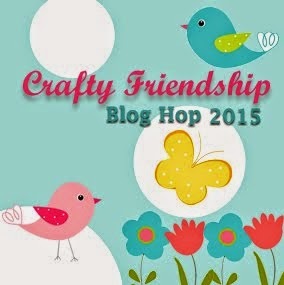 congratulations to be a guest designer in this fantastic blog. You are my inspiration and an example to follow. Send you big kisses from Spain!